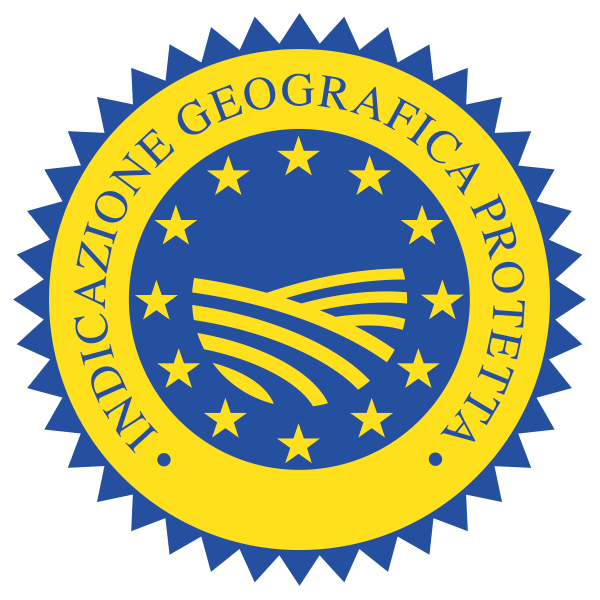 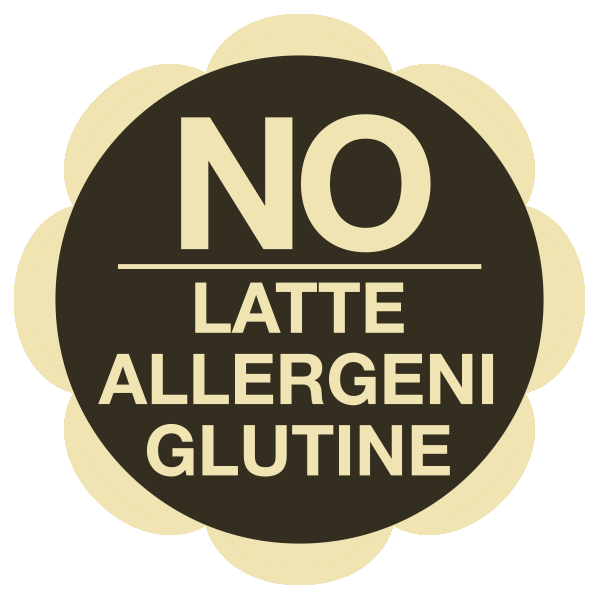 The name of this typical product refers to the geographical area in the Province of Parma, the village of Felino, where its historical origins lie. 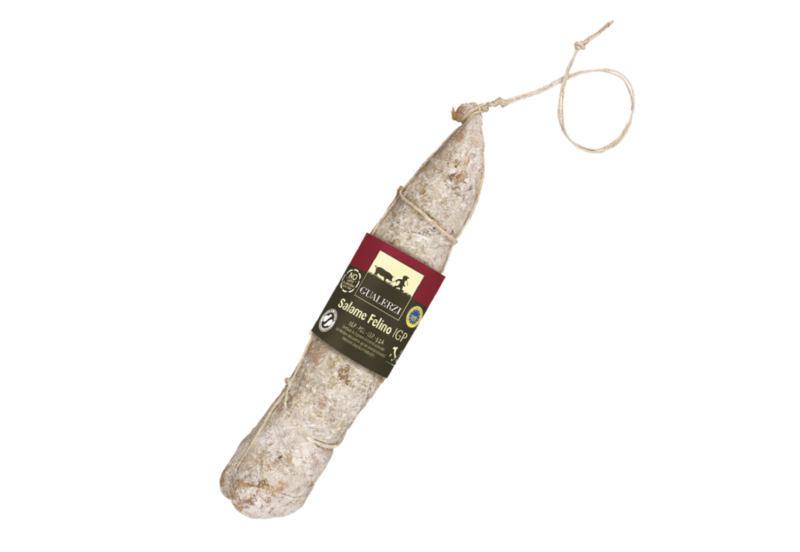 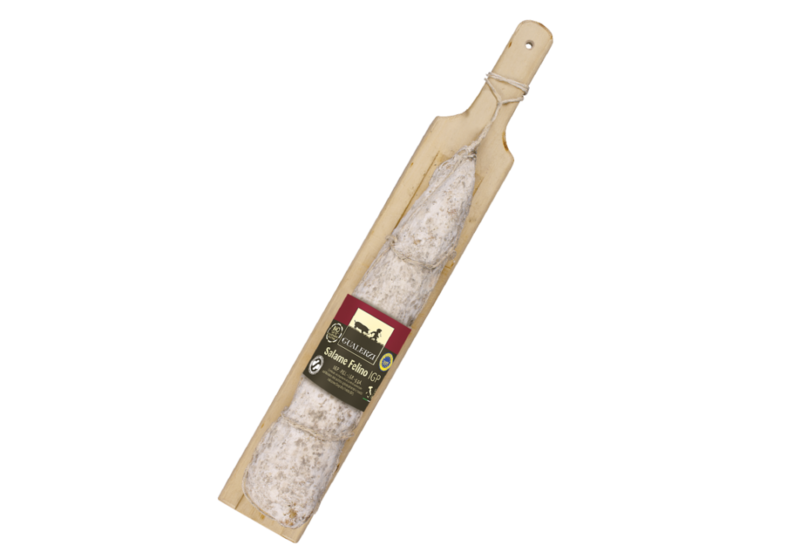 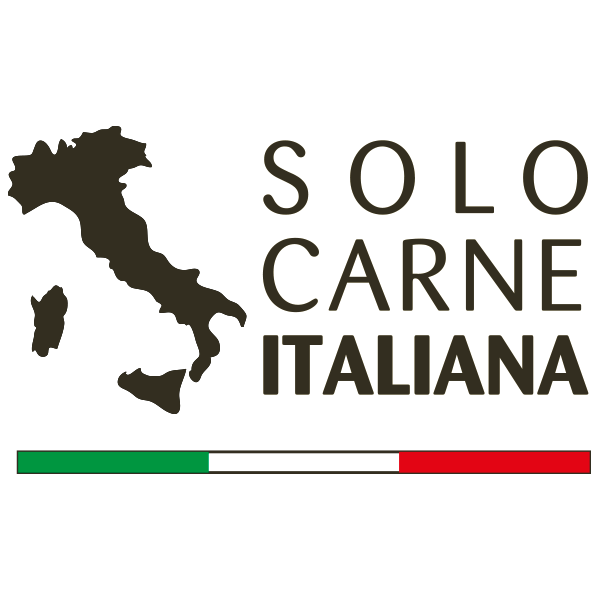 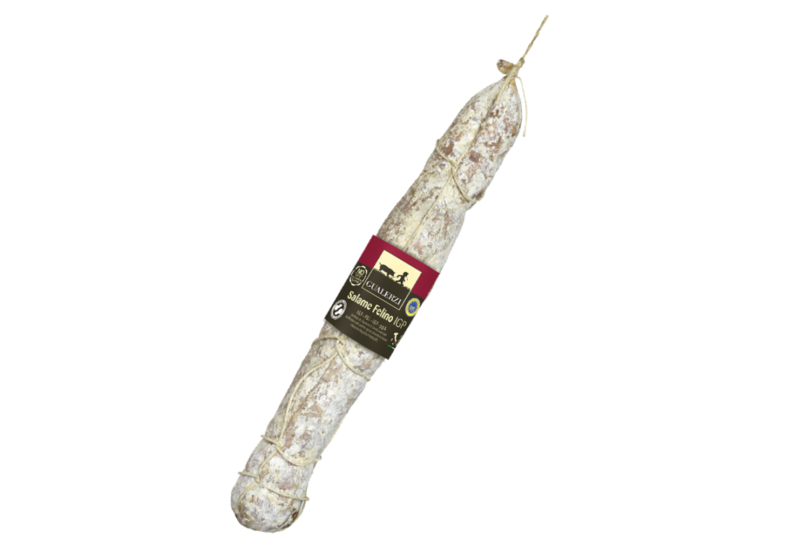 Greatly appreciated for its fragrance and delicate taste, the Salame Felino PGI is obtained by fine cuts of selected, coarsely ground pork shoulder and belly, flavoured with white wine and whole black pepper. 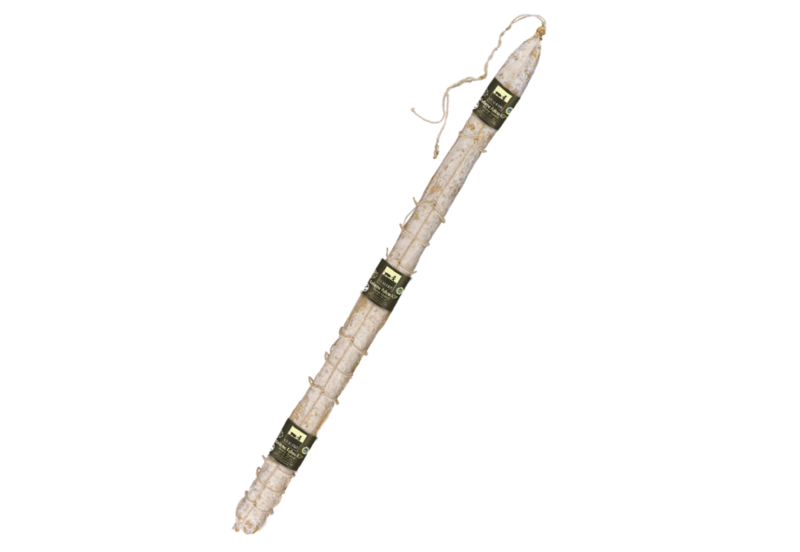 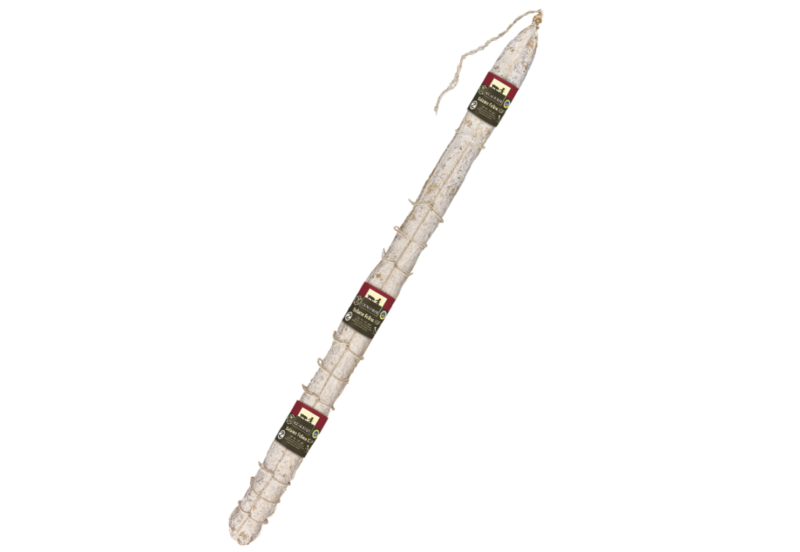 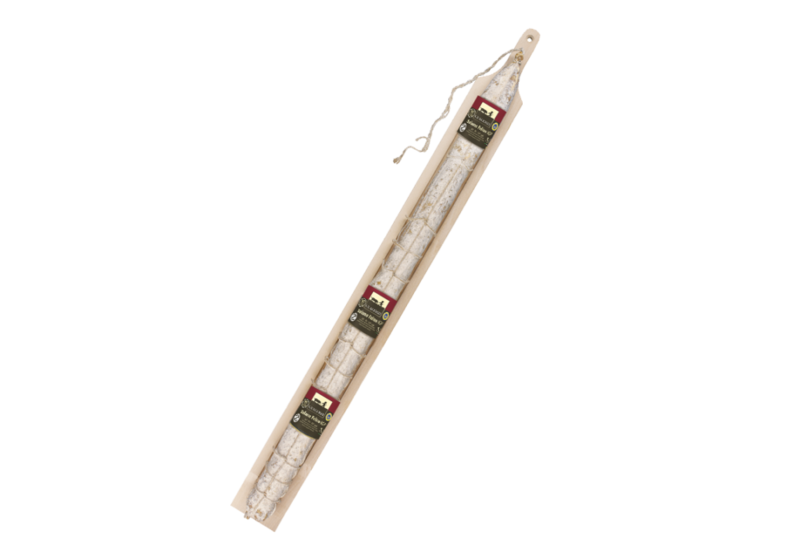 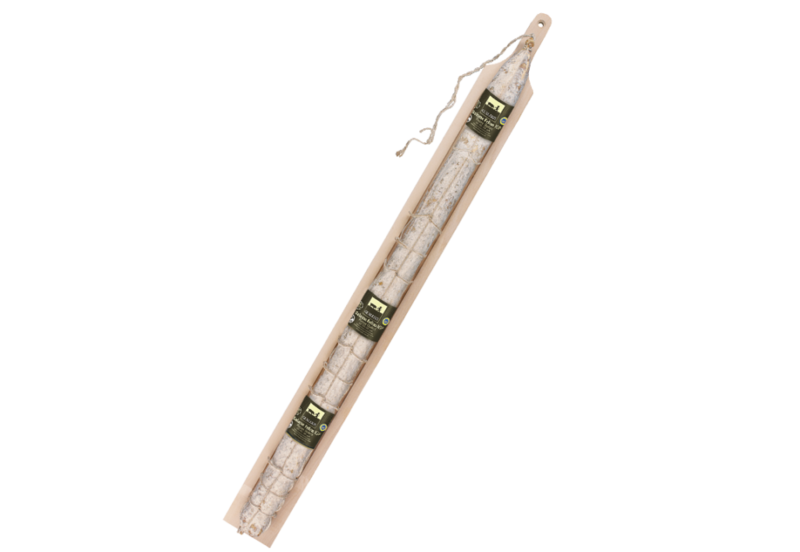 The Salame di Felino PGI is stuffed into a large natural pork intestine casing, tied by hand with strong and aged for a long time (60 days). To taste at its best, it should be sliced with a knife into diagonal slices as thick as a peppercorn. 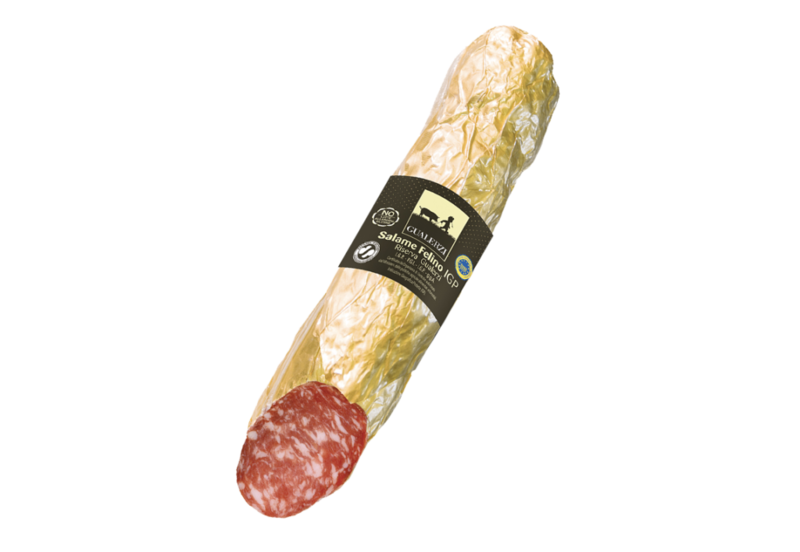 After selection, pork meat is processed with salt, spices and natural flavors. 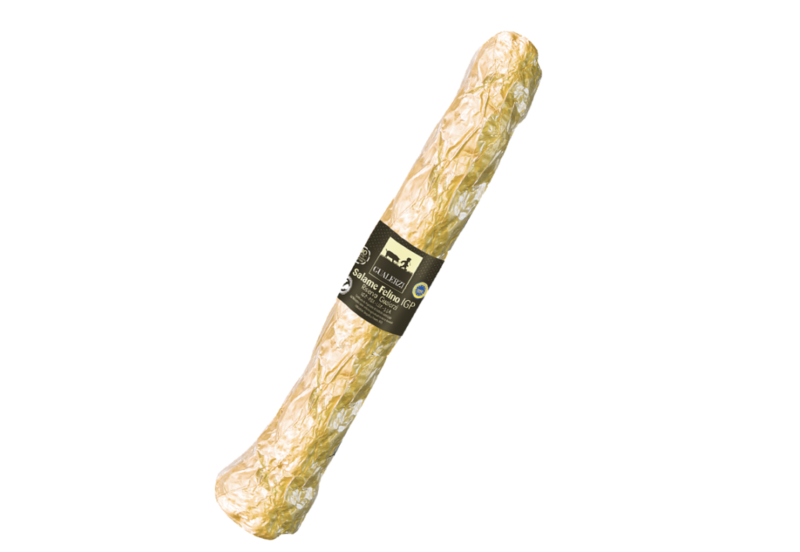 The filling into natural casing gives the product its typical and unique shape. 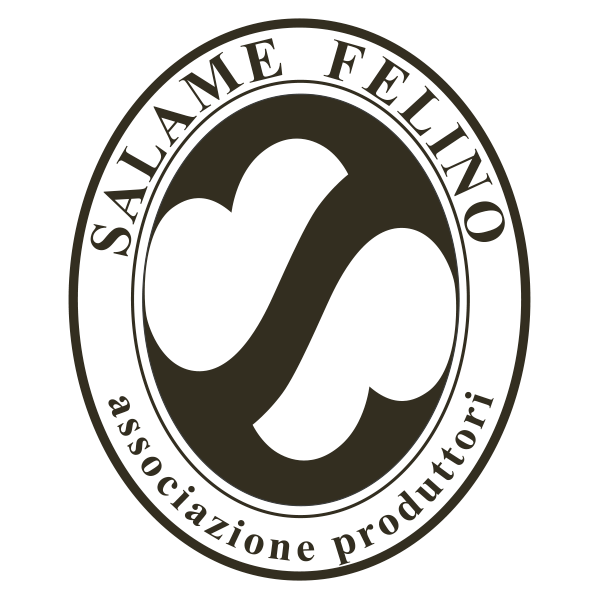 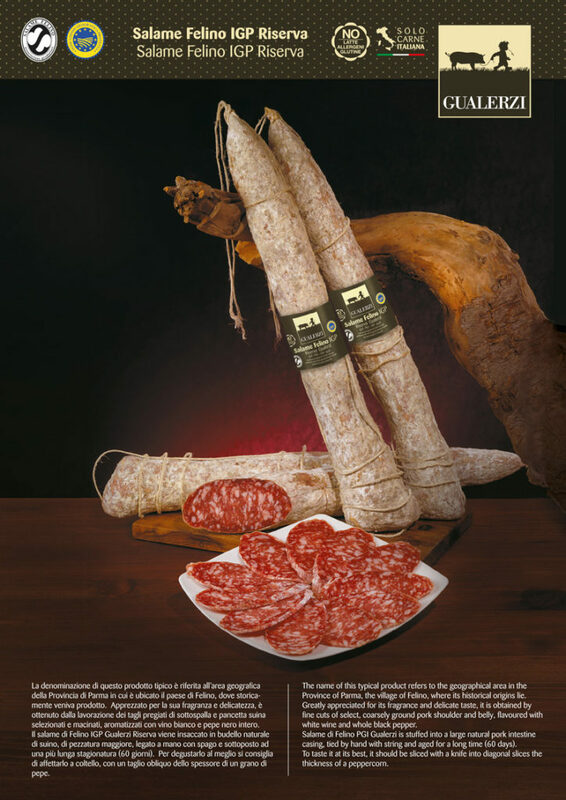 Thanks to a right curing time, the salami felino is famous for its fragrance and delicate taste.